All Application Patrol licenses can be found on their own individual product pages or purchase them below, more options can be found on individual product pages. Can't find the part you are looking for? Contact us today! 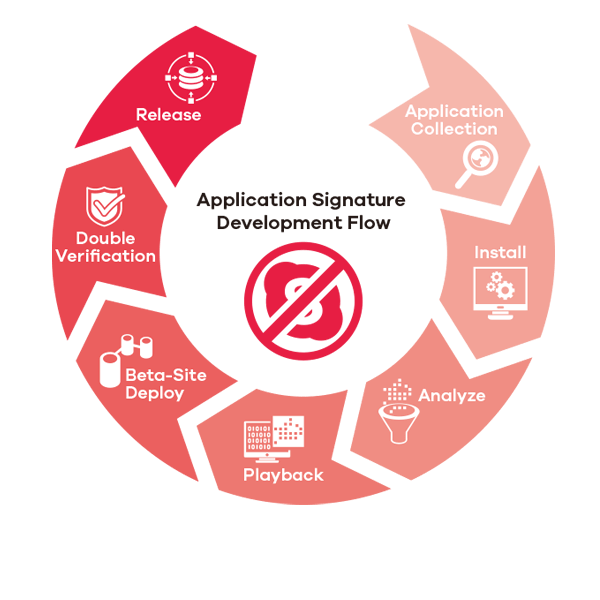 Zyxel Application Patrol is designed to provide the layer 7 application management, categorize covers the well-known network applications such as social, gaming, productivity, and other web applications and behaviors. Zyxel database supports over thousands of applications and its behaviors, along with the growing and ever-changing applications, our operate work with the repeating collect, analyze and Inspect verify flow cycle. Traditional scan engine has common defects including high latency and low performance, the reason was a difficult integration using multi-vendors. 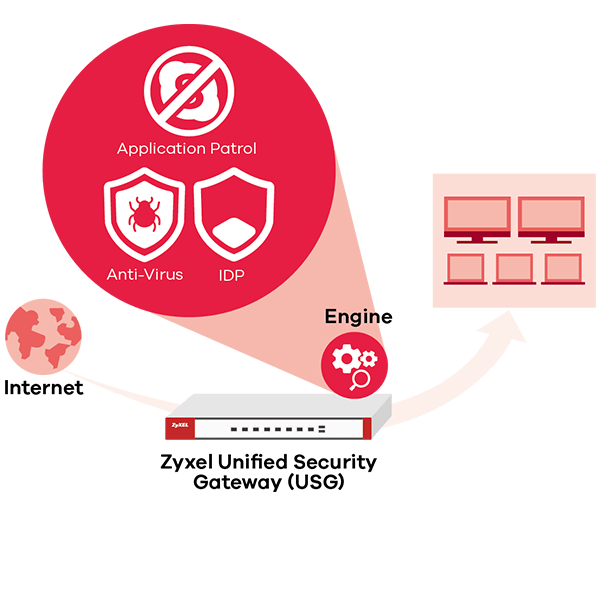 Zyxel provides the single-pass scanning engine, which compares packet with Anti-Virus, IDP and Application Patrol at the same time to significantly reduces latency and offers an unprecedented combination of speed and coverage. 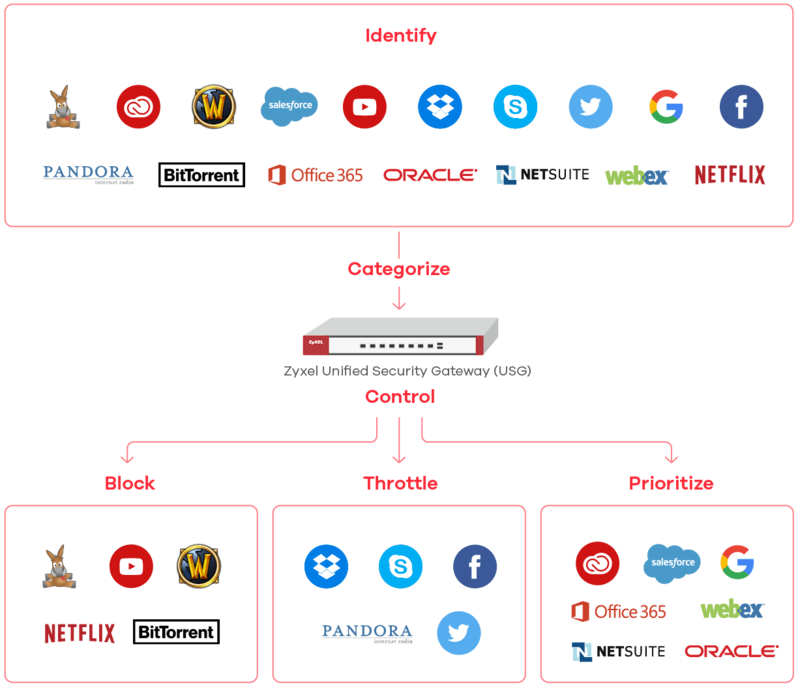 Zyxel Application Patrol provides up to 19 categories and thousands of applications and its behavior, utilizes the DPI engine, enabling administrators to identify and categorize applications. In addition to filtering and classifying data, the application can establish blocks or traffic quota control policies, giving priority to productive applications and throttling acceptable network traffic, while simultaneously blocking unapproved applications, thus boosting productivity and preventing bandwidth abuse. Download the Zyxel Application Patrol Datasheet (PDF).